I don't know that I have met anyone who enjoys preparing and filing a tax return or anyone who enjoys paying taxes. What I do hear is - How can I pay less tax? I can assist you with minimizing your taxes by ensuring that you have exhausted all possible income tax deductions and credits on your return. We can also plan for the future to ensure you are taking the needed steps to minimize taxes going forward. I am a certified Electronic filer (E-File) of tax returns and therefore, submission of your current tax return is painless and easy. Adjustments can be made to prior returns filed if something was missed or reported incorrecty. I can and will review your old returns to determine if any adjustment is required. Have you received a letter from the Canada Revenue Agency (CRA) about a tax return? Do they want to audit you? I can assist you with your response and liason with the CRA ​on your behalf. Although financial statements are not required for individuals running a business as a sole proprietor, keeping timely accurate books and records are critical to understanding how your business is performing and making vital decisions. 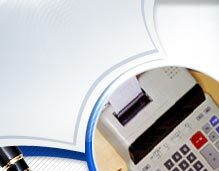 I have experience with several accounting systems and can help you establish one for records. No time for the bookkeeping, let me complete it for you.